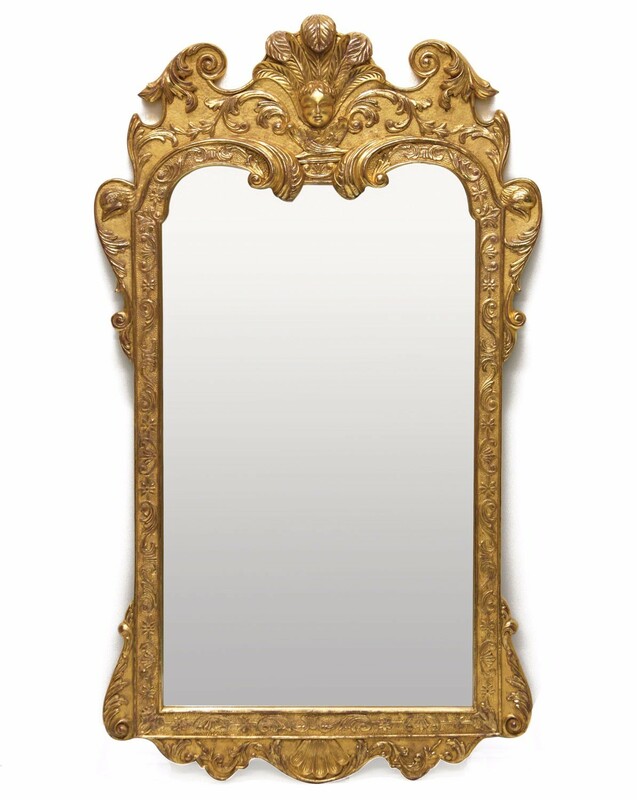 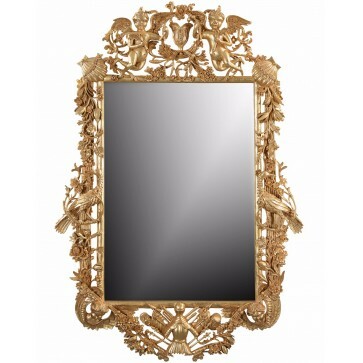 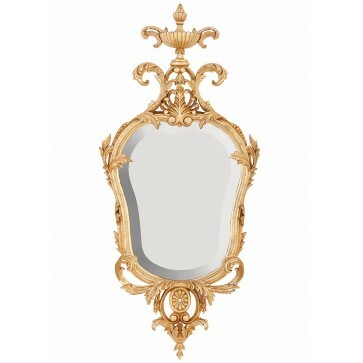 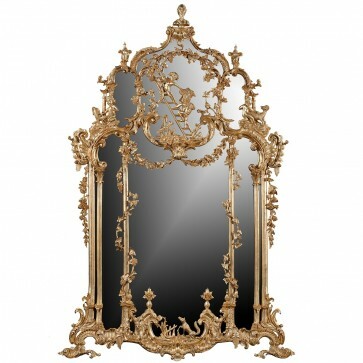 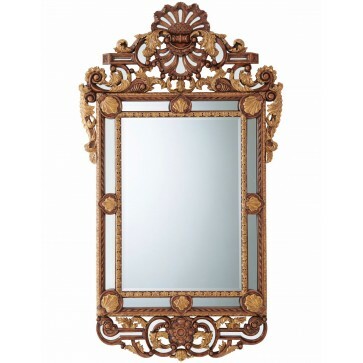 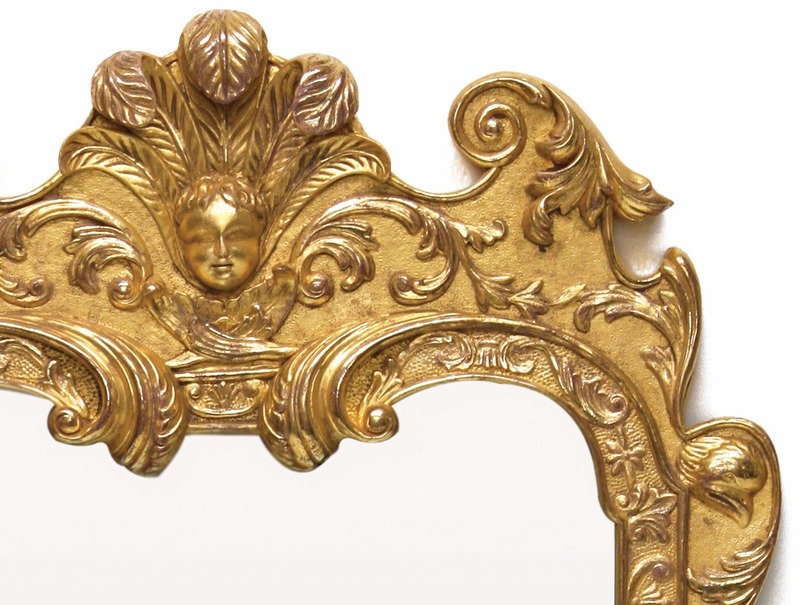 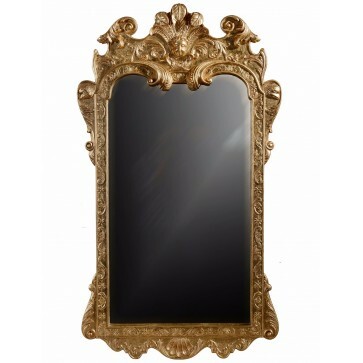 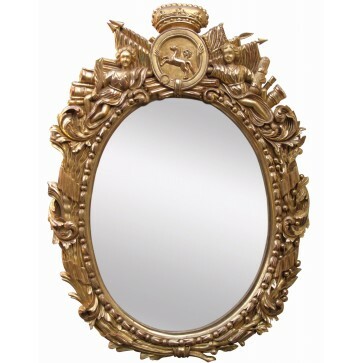 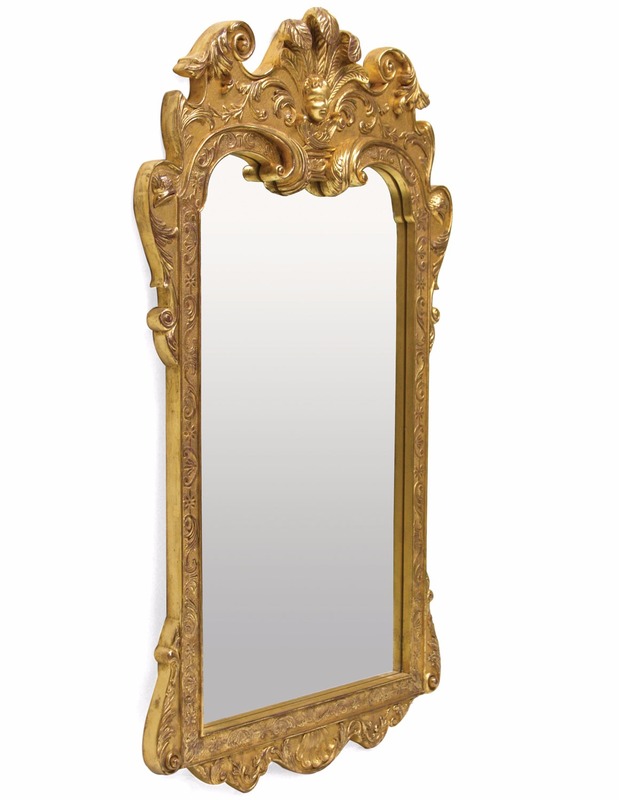 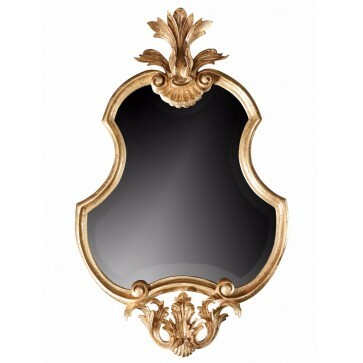 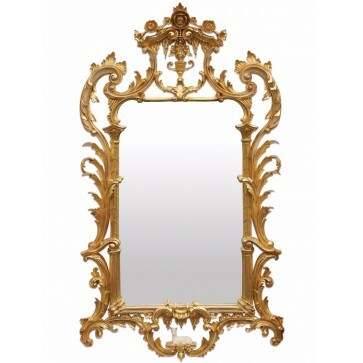 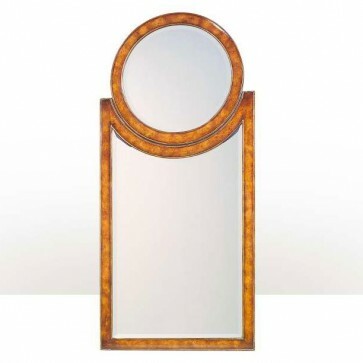 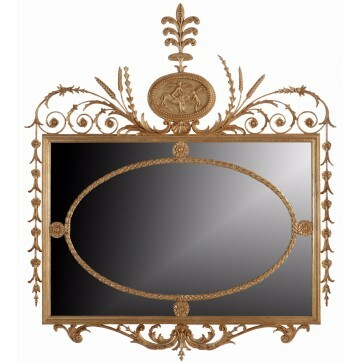 A Queen Anne style mirror after an early 18th Century girandole. 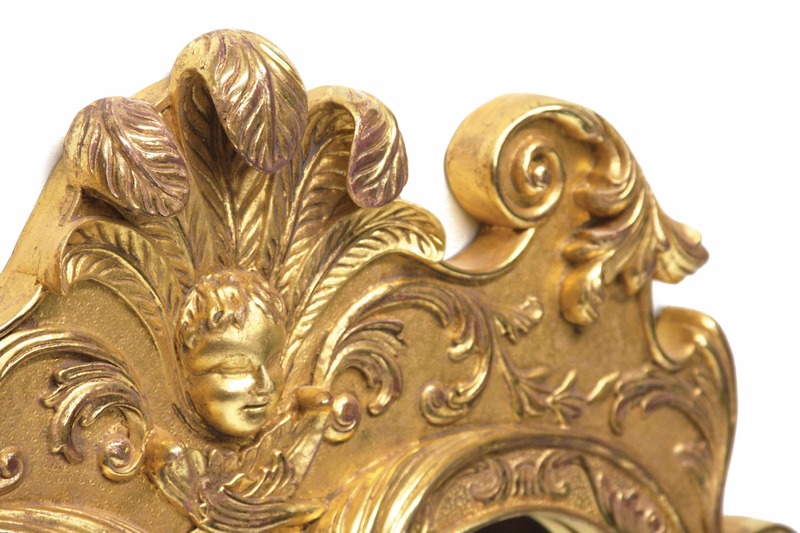 Hand carved shaped cresting with five feathers emerging from a cherub’s head whilst the entire surround has floral and scroll decoration. 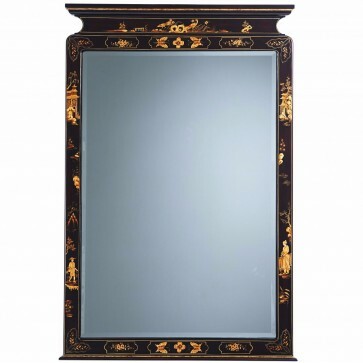 Entirely hand carved in mahogany with further detailing and definition carried out in the gesso layer. 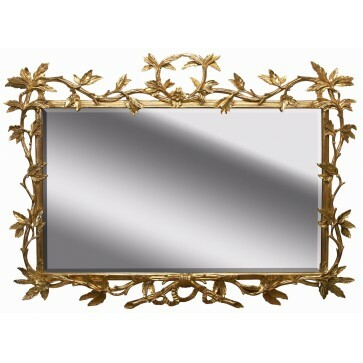 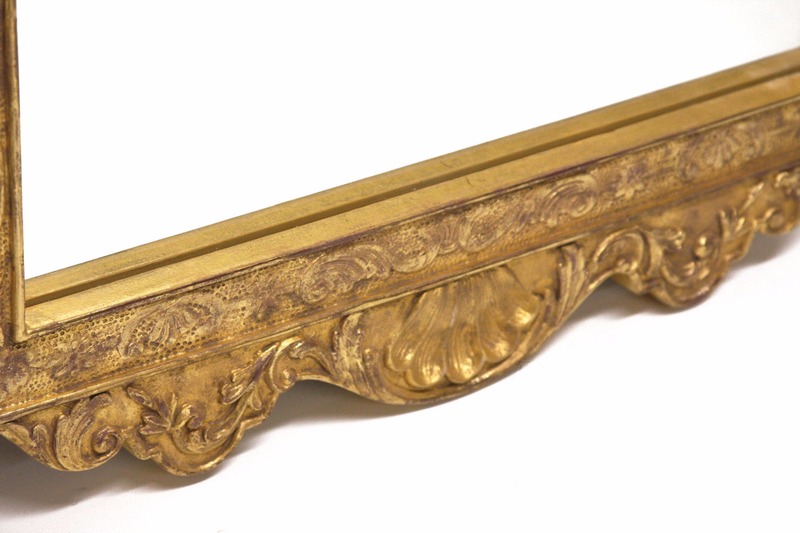 The 23¾ carat gold leaf has a ‘bright and matt’ effect with highlighted areas burnished with an agate stone and there is slight distressing to expose the bole beneath.